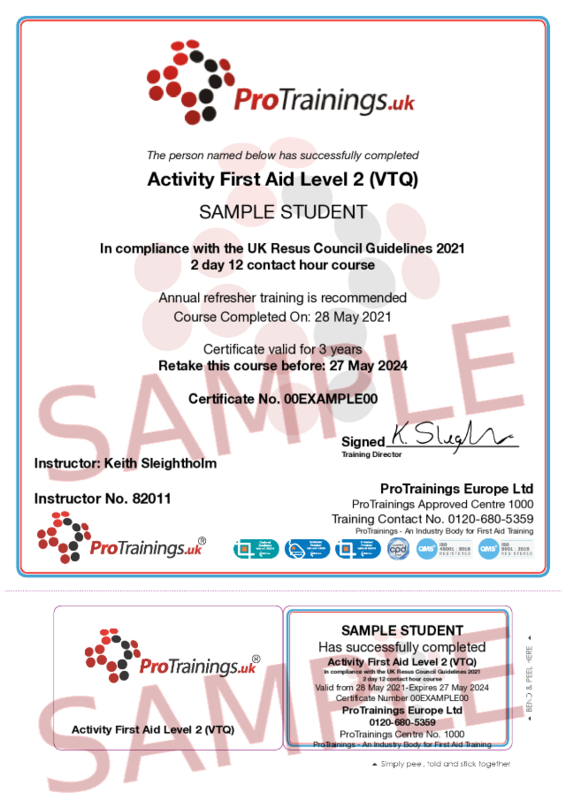 The purpose of the Activity First Aid Level 2 qualification, is to provide the learner with the skills, knowledge and understanding of first aid to provide appropriate care and manage life-threatening conditions, illness and injuries sustained in an active environment. This is achieved through the understanding of the general duties, responsibilities and treatment principles of first aid. This course is available as a 100% online, blended or 100% classroom course locally. All our first aid courses fully meet the UK and European Resuscitation Council Guidelines 2015 as per the HSE requirements.